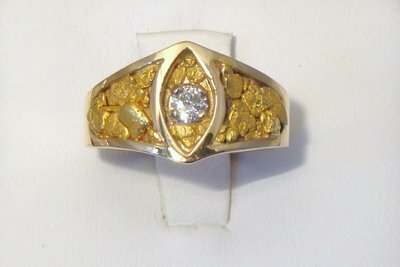 We try to make as much of our own jewelry in house. 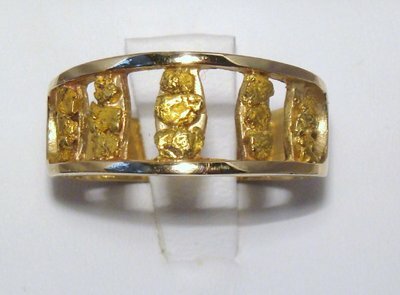 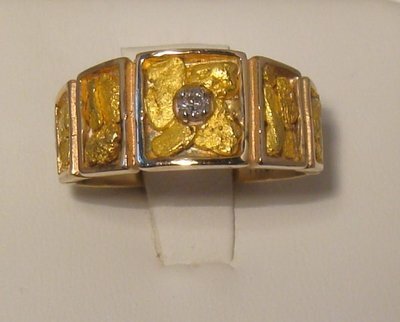 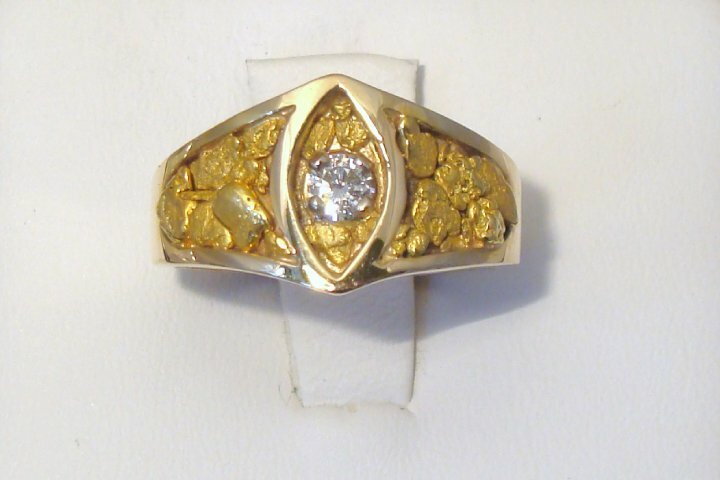 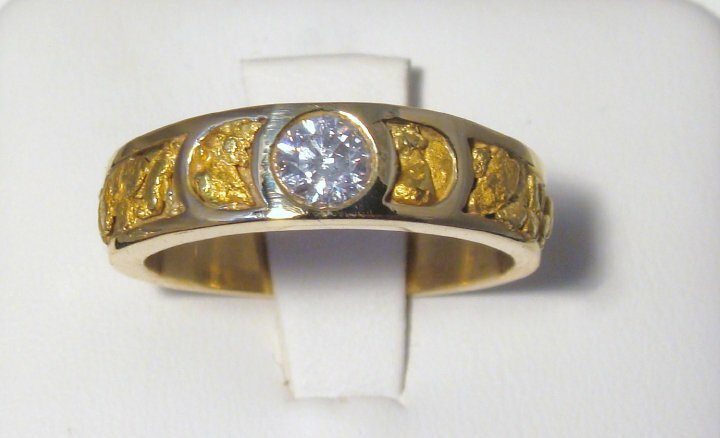 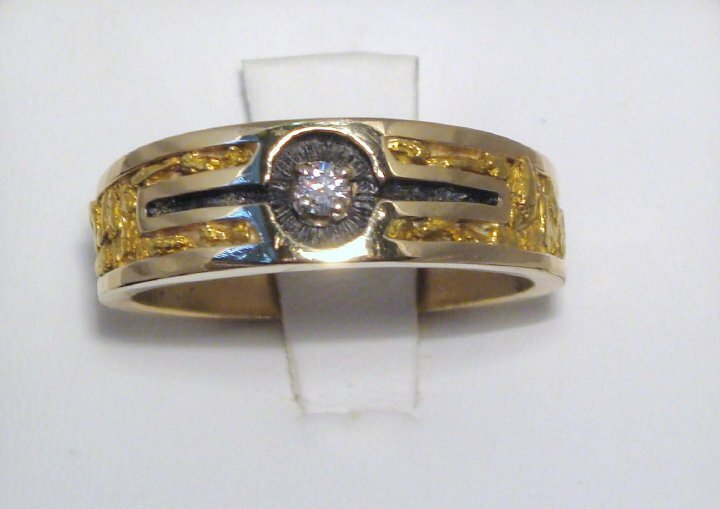 One of our best selling lines is wedding bands containing pieces of Amador County. 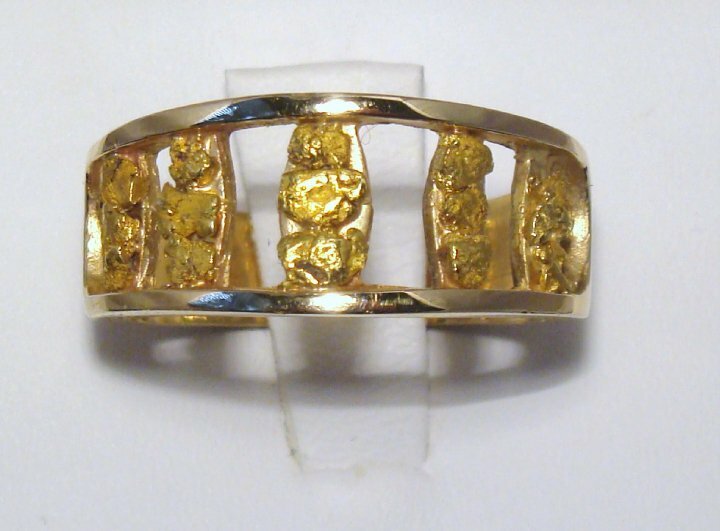 We cast these rings in our shop and apply natural gold nuggets found locally. 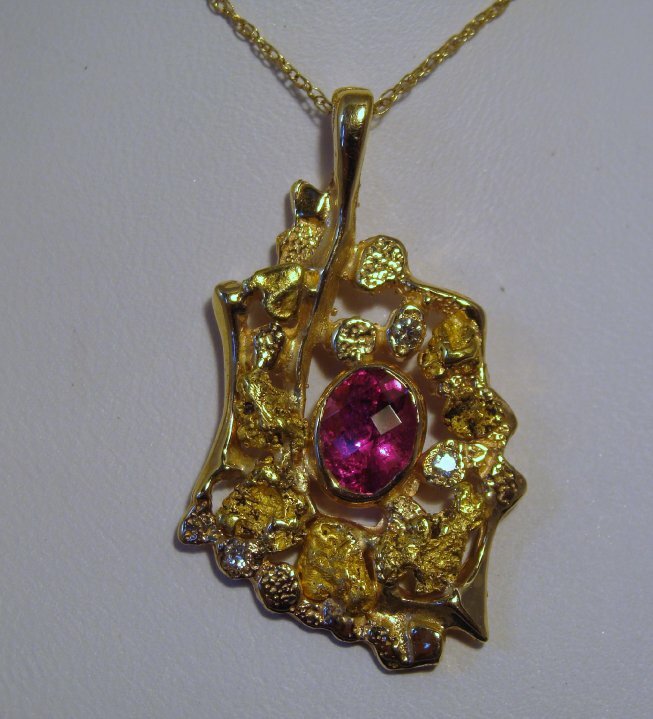 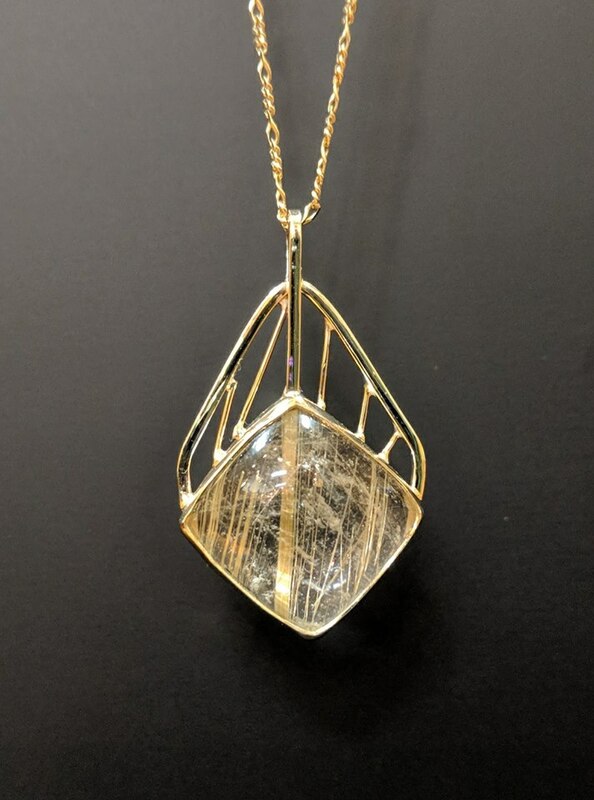 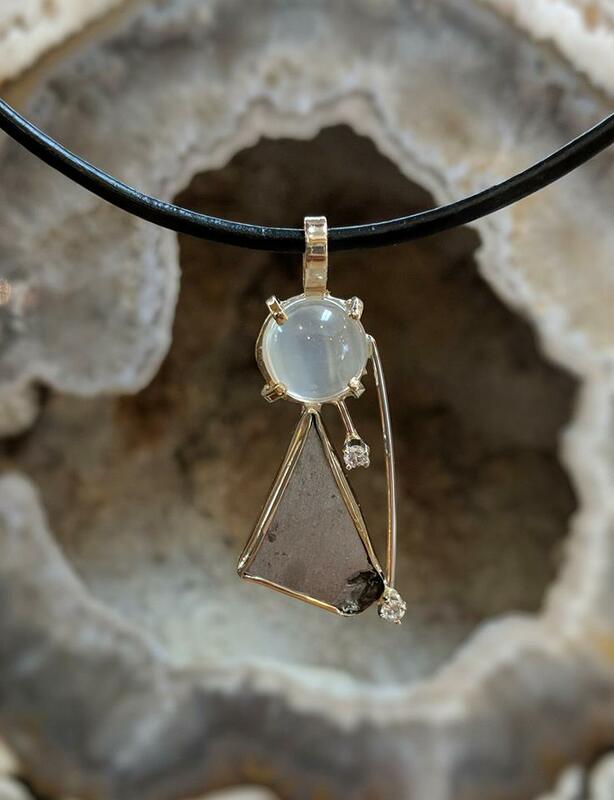 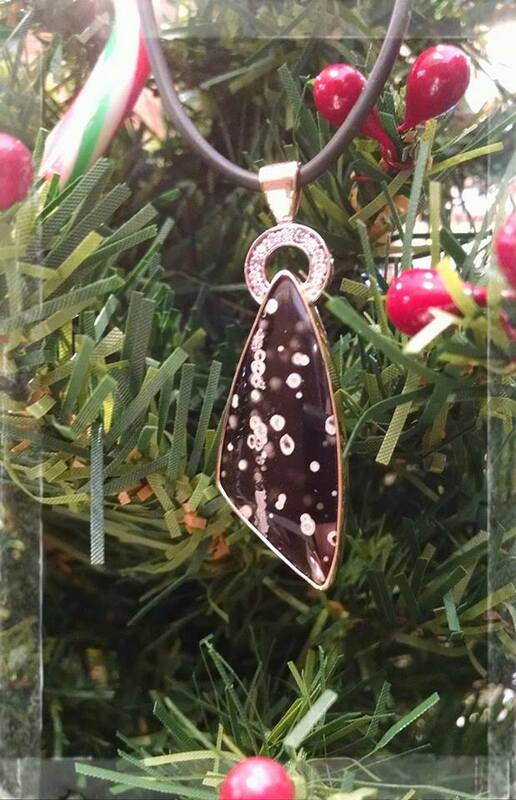 We love working with unusual stones to create one of a kind jewelry.